Carbon tow in affordable lengths, another great convenience item which Aloft Hobbies is happy to share with our customers. Now you can buy the small amounts needed for your own personal hobby needs. We use carbon tow to strengthen wings and fuses, and just about anything. Glue a little in on the edges of any fuselages openings to avoid cracks. Wets out easily with resin, or even CA glues. 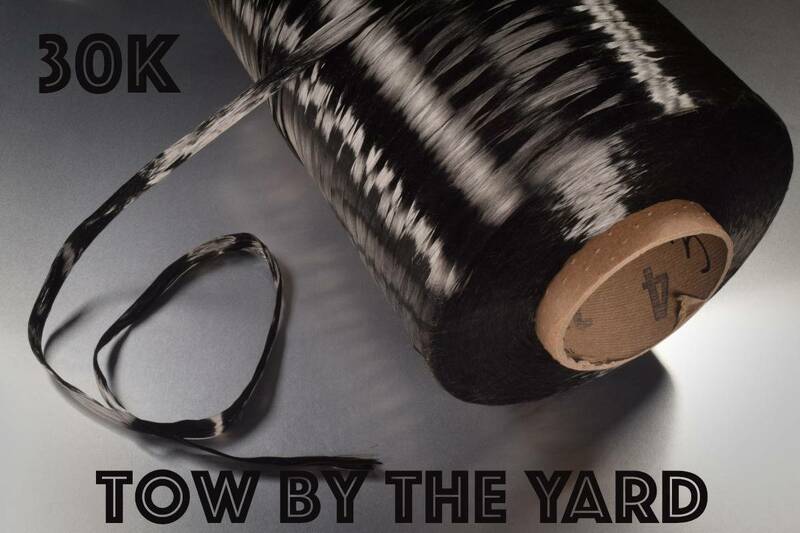 This tow bundle consists of approximately 30,000 filaments of carbon fiber. The bundle can be separated for lighter layups. Sold by the yard. (Approximately 1 meter.) If you order 10, you will get 1 piece that is 10 yards long.